This Study-Management-System was designed to assist clinics participating in clinical studies and perform feedback surveys. Doctors, assistants and medical physicists can create questionnaires from scratch without any programming skills. 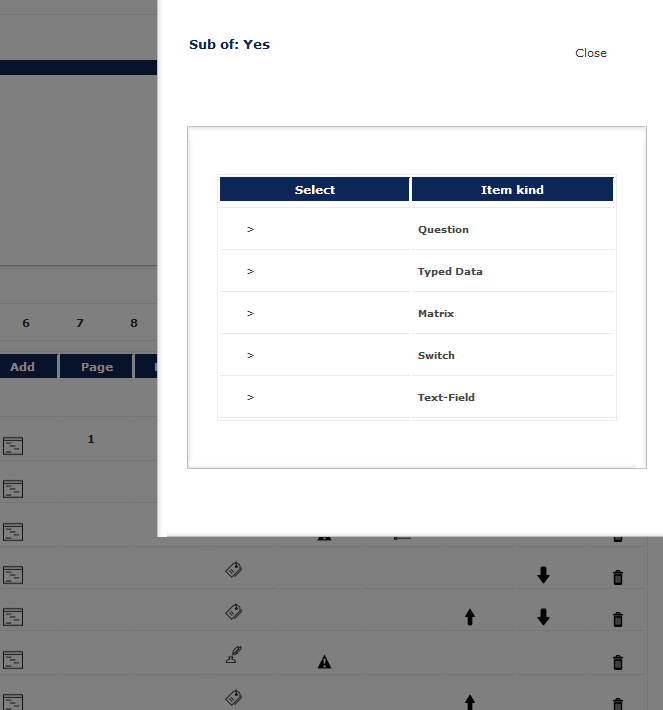 Based on highest innovation this tool enables you to create real scientific questionnaires. Logical dependencies and discretization of questions and answers makes this application unique. If it comes to precise and correct data evaluation this is your tool of choice. Participating in studies of well-established organizations often requires lots of additional work. Usually extra assistance to write logical correct questionnaires and to evaluate filled questionnaires is needed. Often filled questionnaires cannot be used because of incorrect fillings. By writing questionnaires frequently inaccuracies happen and the result of the outcome do not give you the answers you were looking for. Be sure your questions are logically correct assembled, use a tool what supports pyramiding / interlacing logic. Questions and answers are not limited to yes-no questions or given choices of names. You can ask for the age of a person, for the date of a treatment, the weight of a patient or what treatment dose a patient received optionally with dates. Narrow down the answers so you get precise results. All answers are already statistical friendly prepared & available. While depending probablities are listed as part of the application additional XML-export is available on request. Add questions anytime and anywhere to questionnaires, be sure added questions are logically allowed (auto check), structure your questions in depending "depth" and level (pyramiding) or standalone, define mandatory and multiple answers, at any level keeping the overall logic, narrow your results by guiding the filling person so you get one discrete answer, be sure your answers are logical correct and consistent, have your assistant prepare the form for your patients avoiding login and logout processes, use the display style of your clinic (corporate design). The perfect study and questionnaire system to perform all kind of studies and scientific feedback works. Get your replies already formated so you can re-user the data. Collecting replies as text takes out the beauty of computer power. Let your application do the work for you and save all information with all its power. 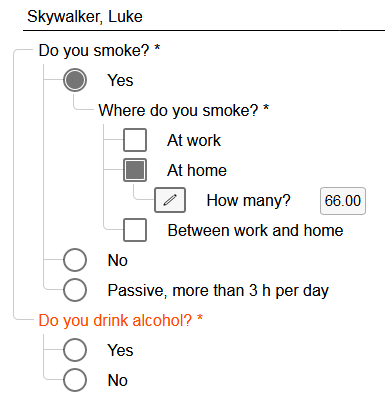 Working with a questionnaire creation tool is already state of the art. But how about the workflow? You want choosen patients to reply to your questionnaires. With SMS you get the tools to perform ..
Having trouble to motivate your patients to fill their forms? As simply as it sounds - as complicated it gets behind the scenes. Patients generally do not want to read about errors, their life usually is already full with trouble. They need to go painless through the questionnaire, easy and smooth. And that is what SMS offers. No obrigation to reply but conscious about the task, little hint when overlooked but not annoying, the freedom not to answer keeping the study correct. Preparing questionnaires and filling them can be so easy and fully scientific at the same time. Note: This application was not solely designed by P2P but P2P is the official distributor.